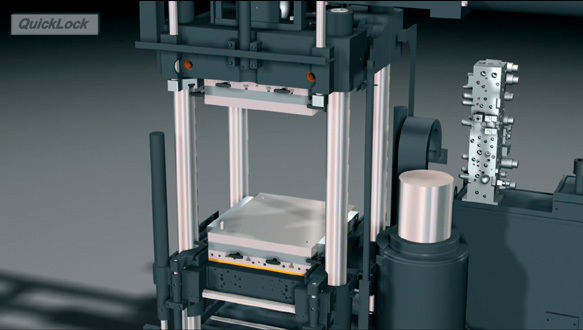 Reduced set-up – increased production. 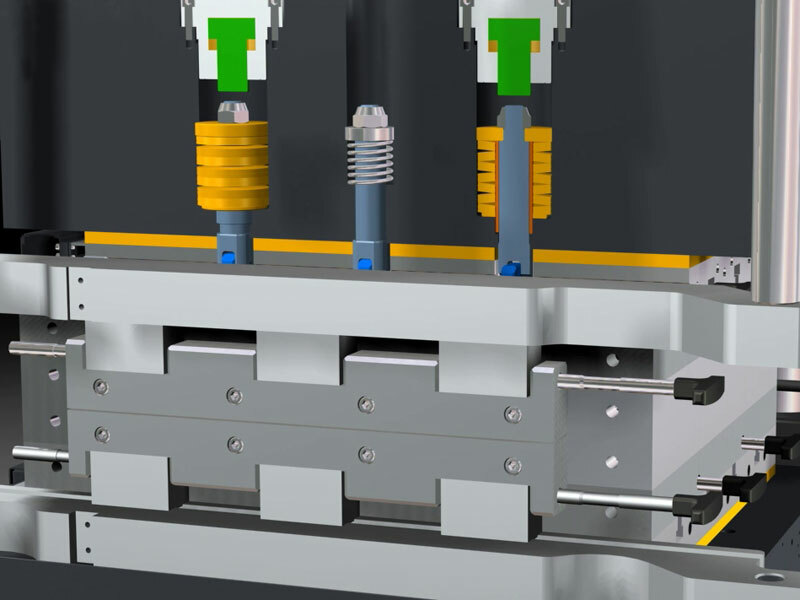 The optionally available DESMA hydro-mechanical quick clamping system QuickLock permits even „hot“ mould changes within the space of several minutes. 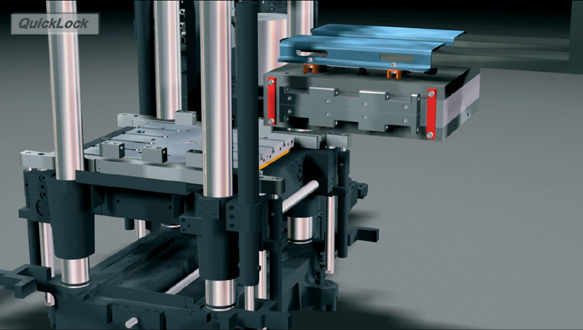 The quick clamping system that is integrated in the DESMA horizontal machine permits a secure fastening on the heating platens and at the hydraulic lifting devices. 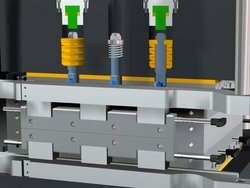 In conjunction with the available DESMA preheating units, set-up times can thus be clearly minimized and productivity increased.